There are two ways of looking at Saurashtra’s journey in the echelons of domestic cricket in recent years — a team that time and again got outpunched in the final round, or, one that punched above its weight to be among the best. Saurashtra's penchant of dodging the odds, reaching the finishing line but somehow not being able to cross it makes it a difficult case for deducement. The roots of Saurashtra's rich cricketing history date back to the time of Maharaja Jam Saheb of Nawanagar, Ranjitsinhji, which explains the incandescent motivation to succeed. However, desire alone isn't enough to win titles in professional cricket. 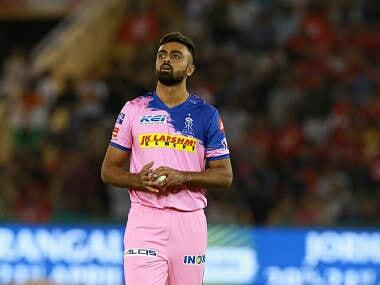 To understand their peculiar trend of stumbling at the last hurdle, Firstpost spoke to Saurashtra captain Jaydev Unadkat, Sheldon Jackson — their leading run-scorer of the season — and coach Sitanshu Kotak. Unadkat, Jackson, and Kotak have all been a part of the three Ranji finals that Saurashtra played in 2012-13, 2015-16 and 2018-19. 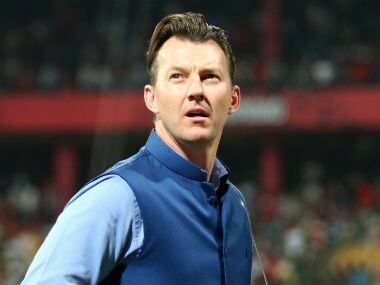 Kotak played the 2012-13 final against Mumbai at the Wankhede, before he took over the coaching role. 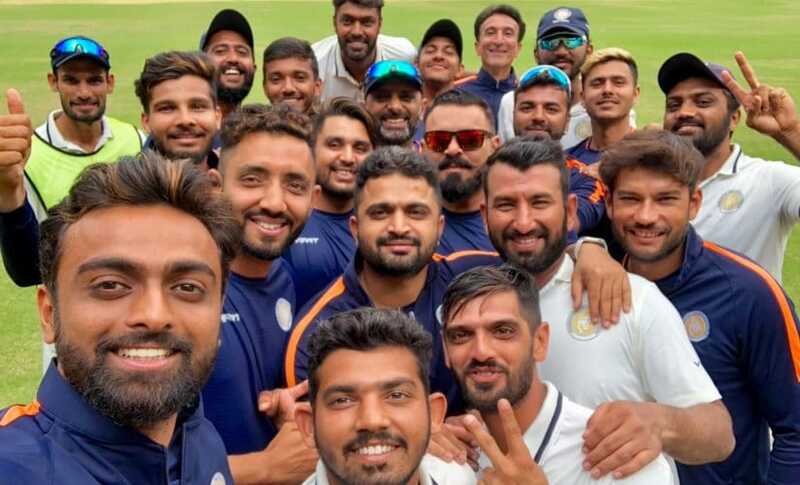 “The way we fought and the way we have played cricket this year, especially in those knockout games, I think it showed some real character,” Unadkat, who took over Saurashtra’s captaincy mid-season after the retirement of Jaydev Shah, said. “It actually showed me that this team is different from what we were in the past. Yes, we played those finals in the past, but the kind of players that we have now in the team, especially the youngsters that have come up, are really good. So it’s in our hands now, to carry forward and develop the brand of cricket that we showed this year and it’s a matter of time before we start winning the big games, like a final,” he added. "In the past, we used to struggle while playing away, especially on green tops. So I made sure we practiced on green surfaces and started creating a pool of fast bowlers," Kotak, who played for Saurashtra for close to 20 years, before becoming the coach, said. "I think we should have won this year. Unlike the previous two finals which were played on a green top, this final was played on a spin-friendly surface," Kotak regretted. With three of Saurashtra batsmen scoring 700+ runs this season along with Cheteshwar Pujara, who came on the back of a stellar tour of Australia and a century in the preceding semi-finals, meant their batting unit was in fine fettle. However, an aberration in the final doused hopes of Saurashtra becoming third time lucky in Ranji Trophy. “Our top five batsmen who performed so well throughout the season, couldn't score in the finals and eventually we lost by 70-odd runs," reasoned the coach, "If you look at the scores of (Harvik) Desai, Pujara, Jackson, (Arpit) Vasavda and (Prerak) Makad — all of them together couldn't score many runs across two innings, that is 10 innings you’re looking at. Probably it wasn't meant to be. Otherwise, there is no way that all these quality players don't score in the same game. That happens in cricket, though, and that is why I am not really worried. It is not very often these things happen," said the 46-year-old. The coach’s assessment was accurate. The sum of the said 10 innings adds up to 76 runs, while the margin of Saurashtra's defeat was 78 runs. Kotak also rued the fact that how Saurashtra have never had the rub of green when it came to the coin toss, especially in the finals, with the pitch playing a decisive factor in the three matches. "We had most of our bases covered this season. I just felt the toss was too crucial to lose, especially with Vidarbha having the home advantage. On a spin-friendly track, batting in the fourth innings and chasing over 200 runs was going to be very difficult." “So, all three final losses cannot possibly be seen under one lens, because we had different teams playing in different conditions. 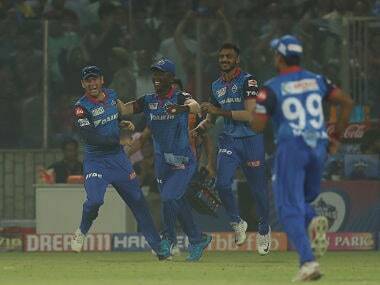 The finals we played against Mumbai at Wankhede (2012-13) and then in Pune (2015-16) were on a green top, while this was completely different. But in all three finals, and I am not saying this just because we lost, the only common thread was we lost the toss,” Kotak sighed. 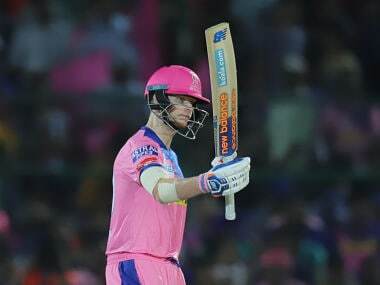 Jackson, who enjoyed his best season statistically (854 runs), too, could not single out any particular reason for Saurashtra's defeat in the finals but felt the toss did impact the result and accepted that it was uncontrollable. Jackson felt, "Winning a toss on that Nagpur wicket was like 30-40% of the match, but the toss isn't in your control, so you accept and move ahead, but its impact cannot be denied." 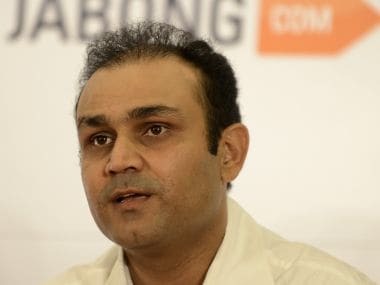 "With all due respect to the opposition teams, the first final in 2012-13 was the toughest, with a full strength Mumbai side, wherein Sachin sir (Tendulkar) was also playing. We were put into bat on a green pitch. At the finals in Pune, we dropped five or six catches if I remember correctly. Against Vidarbha, we came so close and we had our chance, but we couldn’t win and that’s how the game goes, you can't win everything every time. There are certain days that how much ever you try, it isn’t just good enough," Jackson explained. Saurashtra's unbeaten run in the 2018-19 season came to an end with the loss in the finals. 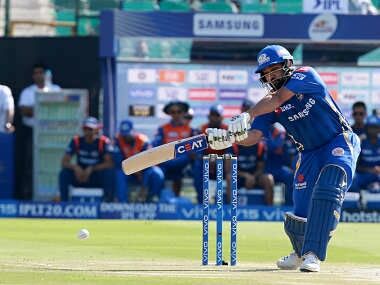 They had an edge over the same opposition after they had claimed two extra points based on first innings lead when the two sides met in a group fixture at Rajkot in January. The record of losing four finals, including the Vijay Hazare 2017-18, portrays Saurashtra's last-minute glitches, but Jackson feels that looking at those results on that perspective alone would not be a fair evaluation. 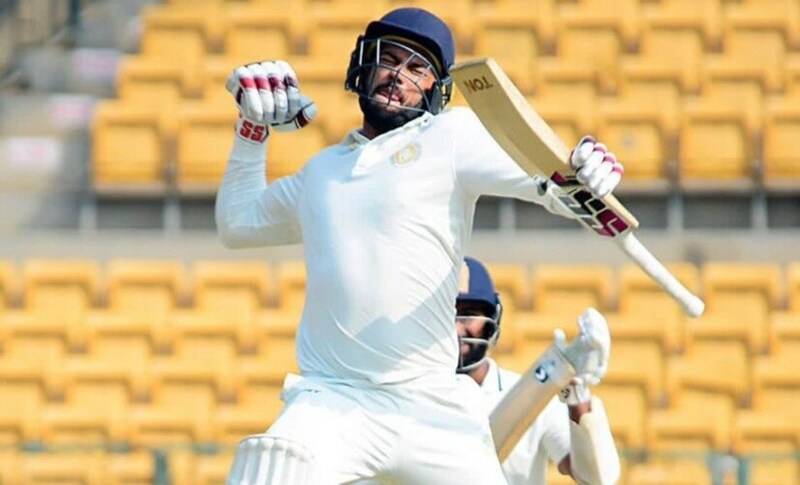 “Saurashtra is a small region with 20-25 players and with limited resources,” Jackson said, “What Kotsi (Kotak), management, first Jaydev Shah and later Unadkat have done is commendable and we are proud of it," said the right-handed batsman. Jackson also stressed that a few years ago, not a lot of cricketers from Saurashtra made it to the higher levels, but now there are several playing for India A or in the Irani Cup and then there are three players in the scheme of the national side. He credits the burning desire of the individuals from Saurashtra that has helped them climb the ladder. He also reminded that the team missed the services of their professional player in Robin Uthappa, who missed the entire Ranji season to injury. Jackson believes Uthappa's experience could have made a huge difference in the big games. "I personally feel we did miss him. Especially with the experience and the power he has. 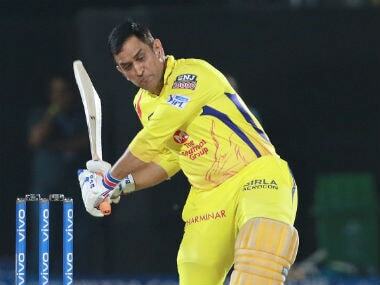 He is capable of scoring 120-130 runs, maybe even more, in a session because of the class he has," the 32-year-old opined. However, a pragmatic Unadkat didn't focus on the uncontrollables. He believes that to build a successful team, there needs to be a positive team culture within and outside the dressing room. A common tradition within the team is, whoever does well at a higher level, say India A or India, takes the team out for dinner, revealed Unadkat. When asked where did Pujara take the side, Unadkat said, “So far, he hasn’t taken us after the successful tour of Australia. So it is still pending and we will hopefully get it done during Syed Mushtaq Ali. But during Vijay Hazare Trophy, Pujara took the team for a nice dinner in Delhi,” he added. The left-arm pacer also extolled Saurashtra cricketers' ability to motivate themselves despite limited resources. “The facilities that we have here are not same as what bigger centers such as Mumbai, Karnataka or Vidarbha have,” the 27-year-old pointed out. “I adore Vidarbha for the kind of cricket they have played in the last two years and that is because of the work they and their Association have put in the last 5-7 years. If you look at their facilities and what their guys get to practice on, it is exceptional. I am not complaining here, all I am trying to point out is how cricketers from Saurashtra are self-motivated and with a little help in terms of the infrastructure, the team has the potential to go higher." Adding emphasis on age-group cricket, Unadkat suggested a few ideas as well. "The boys at the Under-16 or Under-19 levels can have a month or a two-month preparatory camp, under a qualified trainer. We don’t have even have a trainer for our Ranji side and these things I personally feel are beneficial," he said. 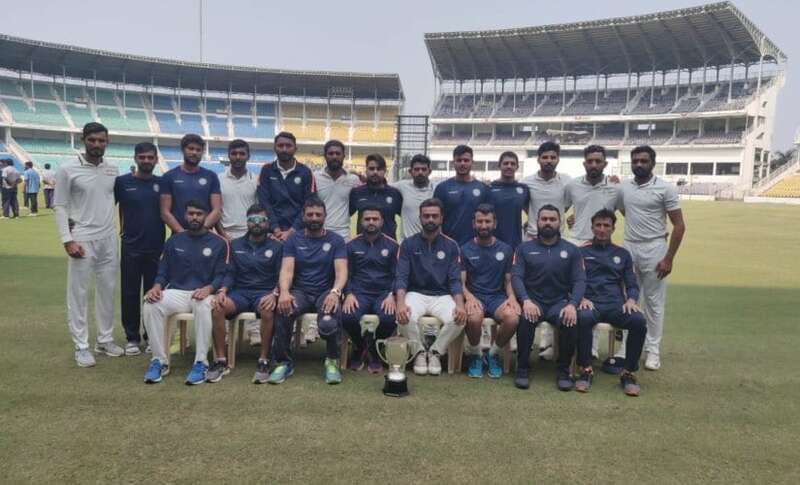 The importance of coach Chandrakant Pandit is very well-documented, but along with the coach, it is also his other coaching staff, who have put in thankless hours of effort to propel Vidarbha to back-to-back titles. Former India cricketer Subroto Banerjee served was Vidarbha's bowling coach till last season. Mangesh Pandit and Laxmikant Pande are also a part of coaching staff. In addition, Vidarbha has a qualified trainer for their Ranji side and a video analyst too. Apart from Kotak, Neeraj Odedara is the only member of the coaching staff for Saurashtra. “Yes, we have been reaching the finals but if you can provide more opportunities and proper matches to the youngsters in Saurashtra they will only become stronger. The current group is special. If you want to keep getting players like these, then there has to be a culture, a trend in a place where the facilities keeping on developing for the younger lot coming through," the captain said. Unadkat has few plans in mind and is likely to discuss them with Saurashtra Cricket Association (SCA). “I do think having professionals on board is beneficial, but before I go into details, I am going to talk to SCA about it, and I'm sure they are going to have a look into it and I’m sure they will agree what I have to say. I will look into it and we will see what their views are as well,” he said. Kotak echoed Unadkat's view. "He is absolutely spot on there. More match practice and more preparatory camps are beneficial. We need to improve the U-14s, U-16s, and U-19s since that is where you get your next generation players, and to be honest, very quietly, I do try and work on the younger lot, during the off-season." For Saurashtra, the losses might serve as a signpost that guides them in the right direction. Teams that create success stories do it not through a readymade roadmap, but they discover and explore what works for them as they grow. Denis Waitley's words, "Failure is a temporary detour, not a dead end" might be handy to remember.